If owning a business is something you’ve always dreamed of, it’s essential to first understand business expenses. Failure to study and foresee the costs is a deadly ingredient to business failure. In order to be successful, it is very important to understand the business expenses and plan carefully. The 2014 report by the Global Entrepreneurship Monitor noted that the over half of all small businesses eventually shut down due to poor revenue stream. But the problem goes beyond lack of profitability. Businesses costs that were overlooked during the planning stage can eventually drain the business. Before you even apply for a business cash advance, make sure to check whether your business requires certain permits or licenses to operate, as well as their renewal. Include these expenses in your annual budget. You may have factored in your employees’ salaries but did you include their benefits, such as health insurance, paid leaves, staff development, and other perks? A poor workforce and high employee turnover can cost your business over time. Joining professional associations can help a new company gain more ground. It will help you build more networks, which you’ll definitely need not just to market your business but also to learn from. Registration and annual fees can cost you a few hundred dollars so be prepared for it. Of course, you don’t have to register with all the associations. You just have to choose a couple of these groups and be as active as possible. Unless you are starting a home-based business, expect to pay rental dues for your shop or office face. The rental fees depend on the size and location of your space. Deciding on the best location is based on the nature of your business. Part of the expenses you have to consider when financing a new business should be for emergency expenses. Reserve a line for unexpected break down or malfunctions with your equipment, for example. Insurance are among the most important recurring expenses that your company will pay for. Every business pays for several types of coverage such as worker’s compensation, general liability insurance and property insurance. Insurance is an essential business cost that protects you from any possible lawsuits arising from your business. You also need to budget for utilities such as Internet, water, gas, phone, and electricity. Consider your average monthly consumption when making your financial planning. It will also help to conduct regular energy audits to trim down your expenses. One of the business costs often neglected in financial planning (especially among small businesses) is legal and accounting fees. Hiring professional services will not only save you time but also from possible serious legal implications. 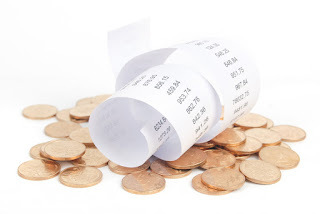 The expenses and responsibilities incurred by your company can overwhelm your finances. Make sure that you study thoroughly all the bases, and that includes setting up stand-by capital to cover for unexpected costs. In order to stay out of the red, it is recommended that you allot at least 20% of revenue for unforeseen costs.